Research has finally unveiled the five best ways to extend your lifespan by up to a decade. The study findings, which were published in the journal Circulation, suggests that having a healthy body mass index, maintaining a moderate to vigorous exercise routine, not smoking, drinking alcohol only in moderation, and eating a healthy diet are all it takes to live up to a decade longer. Incorporating these five habits into your life by the age of 50 was associated with an additional 14 years added on to a woman’s life and 12.2 years to a man’s. These habits were associated with a reduction in death by America’s top two killers—cardiovascular disease and cancer. 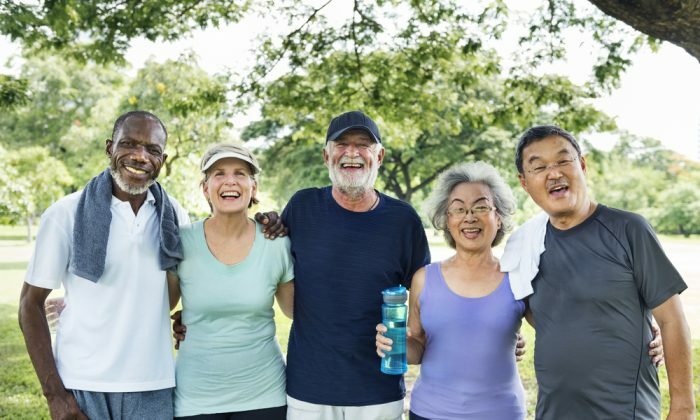 “We can do so much better for having a long healthy life by pretty simple minimal changes in our behavior, and only 8 percent of adults in our country are adhering to these. The main take-home message is that there are huge gains in health and longevity to be had just by simple changes in our behavior. Americans have an average life expectancy of 80 years old, placing America 43rd worldwide for life expectancy. The top three countries for highest life expectancy include Monaco, Japan, and Singapore. Countries with the lowest life expectancy include Chad, Guinea-Bissau, and Afghanistan. By no means are these habits shocking or even revolutionary. There is no miracle elixir to drink or secret to longevity—it’s as simple as adhering to five very simple lifestyle habits. Combining all five factors has the biggest impact on longevity, but the one factor that seemed to have the greatest link to longevity was smoking. Smoking was associated with the most health risk factors from cancer to heart-related problems, making it the most influential factor of longevity. The second biggest factor was body mass index, as being overweight is also associated with a slew of medical conditions. Ideally, for best results, it’s important to incorporate all five lifestyle habits to live a long and healthy life. Mohan Garikiparithi has a degree in medicine from Osmania University (University of Health Sciences). This article was originally published on Bel Marra Health.